Lead generation. It’s the holy grail of PR and inbound marketing campaigns. How do you get to drink from that holy cup? 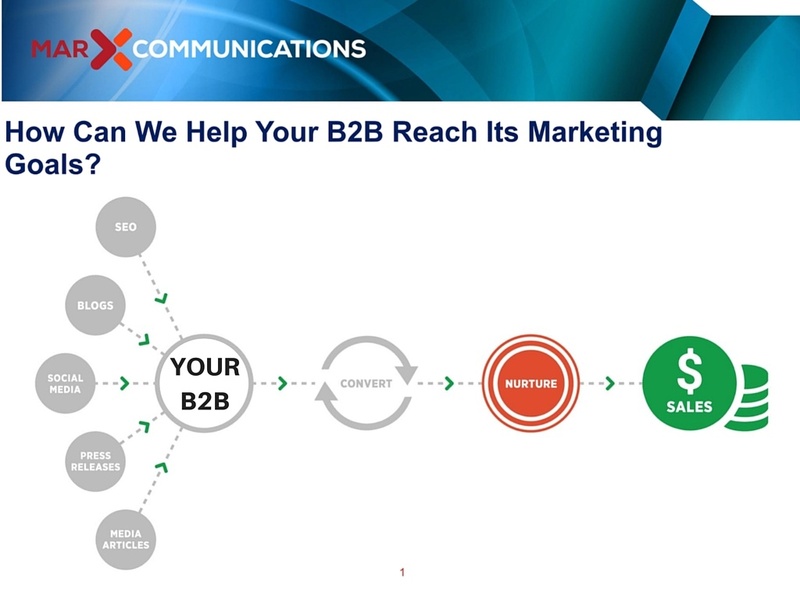 Let’s check out how using a combined method of PR and inbound marketing will turn your B2B company into a lead generation machine. What Does PR Really Mean? Perhaps you’ve hired PR firms in the past and had less than stellar results. You were promised the moon, but only received space dust. If this has been your experience, you sadly haven’t had the privilege of observing what PR is meant to do. More than media relations, effective PR focuses on the needs of the buyer. After all, what good are thousands of impressions that target the wrong audience? Your PR’s message should empower your specific audience. It should demonstrate that your product or service solves a problem in their life, that you understand their challenges, and that you anticipate their needs — even before they arise. Once upon a time, the primary thrust of PR was getting press mentions and branding. However, today PR encompasses more. A successful PR strategy integrates inbound marketing as a win-win for you and your prospects. 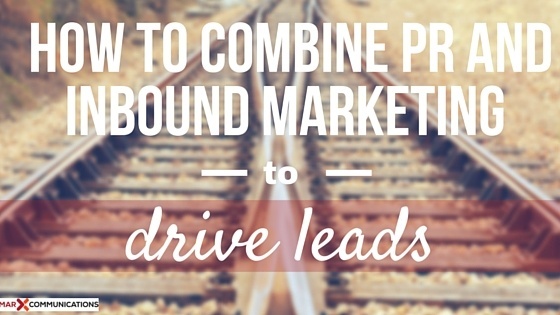 You’ve likely heard of inbound marketing. In fact, nearly 60% of companies use inbound marketing, with many more planning on climbing on board in the years to come. So what is inbound marketing? In a nutshell: Inbound marketing focuses on being found by customers. It is customer-centric. Sounds a lot like good PR, doesn’t it? That’s because they work best hand-in-hand. Yes, inbound marketing creates marketing materials that provide value. These materials come in the form of blog posts, infographics, videos, and a search engine optimized website. Your PR campaigns should integrate seamlessly into your inbound marketing. How do you do this? Press releases have been a strong frontrunner in the PR world for quite some time. Their modern-day efficacy is boosted by inbound marketing. How will your prospects find you? Will they comb the pages of a news site to find your particular brand? Likely not. However, a press release that is optimized for search engines using keywords will draw prospects in. When prospects perform a Google search for a product, service, or solution to a problem, your release will lead them in the right direction — to your virtual doorstep. Your press release visibility doesn’t stop at media outlets. In fact, press releases are perfect candidates for content material. Turn your release into a SlideShare, a blog post, or even a video. Your widespread visibility serves to boost your PR, increase inbound clicks, and ultimately deliver leads. Businesses who blog just twice a month receive up to 67% more leads than their competitors who don’t. Why is this? Because your blog posts, when sprinkled with the right keywords, increase your findability online. Maintaining a blog supports the fundamentals of good PR and marketing: to fulfill the needs of the buyer by delivering useful content. My, how the word “media” has changed! A few short years ago, the word media referred primarily to journalists. However, you now have your own media channels! Although press releases are far from dead, and journalists are still people you want close at hand, your role in distributing your news-worthy content has changed. Rather than giving your story to the media and walking away, you now have the opportunity to market your own PR. For instance, when you receive a press mention, a quick post to Twitter will deliver a positive brand message to followers that are specific to your industry. Your reach to industry-specific leads has never been greater. We’ve talked a bit about SEO already. However, you may be wondering how this fits into the PR and marketing story. SEO, or search engine optimization, is the practice of making whatever content you produce, findable. How do you do this? Let’s say you’ve written a press release, you’ve released it to the proper media channels, and on your corporate newsroom page, and now you want to turn it into a blog post. While you might design the content for each a little differently, they all should have one thing in common: the right keywords. And there’s a bit of a science to this. It’s not merely about repetition of the same word. Rather, you have to understand how search spiders find your content. For example, in this post, our keyword is “PR and Inbound.” Because this is our main topic, it’s not hard to sprinkle that keyword in the body of the post. However, you’ll also note that it is in the URL of the post, the heading, and in the image. This allows the post to be findable by anyone who performs a search for this keyword. SEO should be incorporated into your traditional PR methods, as well as your inbound strategy. It allows people to see that you have what they’re looking for. Now that’s good PR! Media placements are tried and true in the PR world. Their usefulness has not been overdone, either. However, now you have the opportunity to incorporate the positive PR from media placements into your inbound marketing strategy. Let’s say you are featured in a trade magazine. That’s great! How does that help you to drive leads? Well, of course, it brings attention to your brand. However, what you really want to do is create a tie between that featured piece and your prospects so that strangers turn into leads. How do you that? Not only does the mention of XYZ magazine and your client serve to boost retweets and show appreciation, but the link back to your website (with an appropriate call to action) drives leads back to your website. 1. Read the B2B PR Sense Blog and subscribe to updates. Make sure to take advantage of the search bar to scope out topics that want to learn more about. 2. Download the Ultimate B2B PR Checklist to get your PR back on track, or just to make sure you’re doing everything possible to get great PR for your B2B! 3. Learn how to turn your PR campaign into a success by downloading our free slide presentation, The Bottom Line About PR.